Since I love Ikea (and their sustainability programs) we are buying our tree from Ikea tomorrow! It's a natural fir christmas tree, costs 20$, they give you a 20$ coupon to use mid-december until the end of January and they donate a portion of that money toward Tree Canada. Win-win. 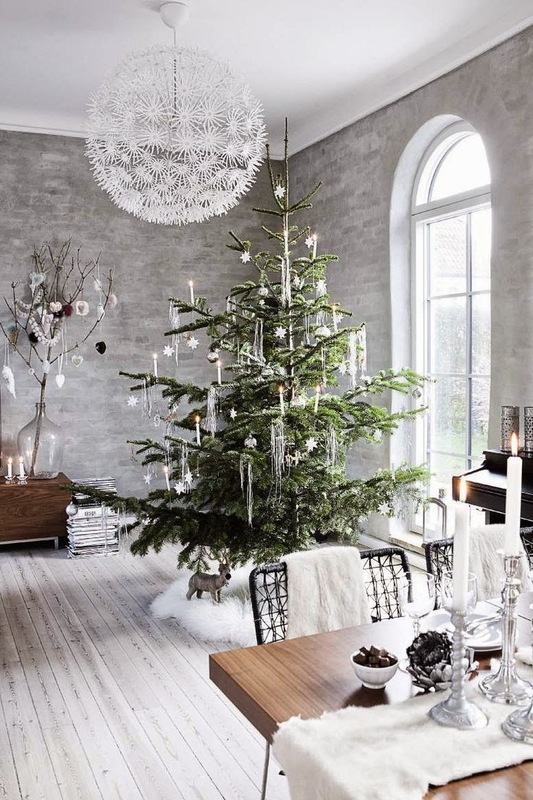 I'm also loving the scandinavian organic minimalist looking tree this year. Ikea has some pretty awesome retro looking decorations. If you haven't been there in a while, let me warn you. You will have all new christmas decorations walking out of there. I swear. $7.99 for a set of 2 (I know a little pricey, but they're so gorgeous)! My faves. I already bought some ($3.99 for 3) and they are awesome! They look lovely just hanging on my wall. I bought both colours.